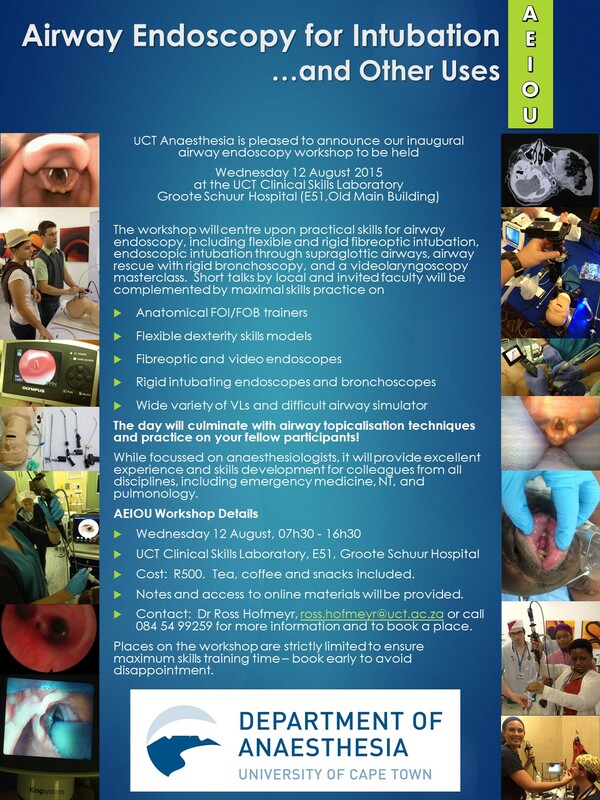 UCT Anaesthesia is hosting an airway endoscopy course on 12 August 2015. Click the image below for more details! Previous PostPaediatric SGA SizesNext PostHow many intubations does it take to become competent?